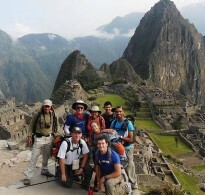 I'm native Peruvian, a certified tour guide from Cusco Peru. 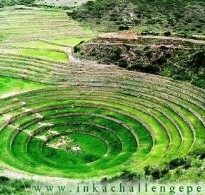 I was born in a colonial town at 16 miles from Cusco City. Since my childhood I learned lots of thing from my ancestors, they came from the Inca extended family (panaka tumibamba), I love guiding people to all tourist attraction and do hikes and treks even to the most remote places, unknown by travel agencies and other tour guides, I like meeting people and become in to their favorite guide, My specialty is to provide personalized service. In my childhood I worked in my hometown, helping my dad farming different kind of native products such as, Maiz, Quinoa, and potatoes, I got involved in the activities of the community. 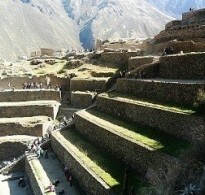 When I moved to the city (Cusco), I went to study languages such as English and Italian, Y also can speak basic French. While I was working In a Travel Agency as booking and sales manager and tour operating manager I went to Guiding and leader ship school and got an official degree as a Certified Tour Guide: I can guide in any historical monuments; sacred valley, Cusco city tour, Inca trail, Machu Picchu and all places were licensed guide is needed.